A professional works according to your budget. They provide you with the best designs to suit your budget and yet give your bathroom a beautiful design to match your taste. These professionals have accurate knowledge of what quality is best and what is not. Because of their experience, they can easily differentiate between high-quality materials and low quality. They also have a good relationship with the vendors which help them buy quality materials at a cheaper rate. You might want to try designing your bathroom yourself. The odds are you may low quality materials, wrong materials, or even materials you don’t need. And all these would cause you to spend more than budget. Employing the services of a professional helps to save your precious time. This is because while your the work is in progress, you can go about your personal activities without putting your work on hold. Even while you are away, the professional keeps on working to ensure that in little or no time, your bathroom is ready for use. When you hire a professional, the designing process would be sped up because the designer is already familiar with his job he knows what to do and when to do what. These would safe time, beautify your bathroom, and get it ready for use on time. 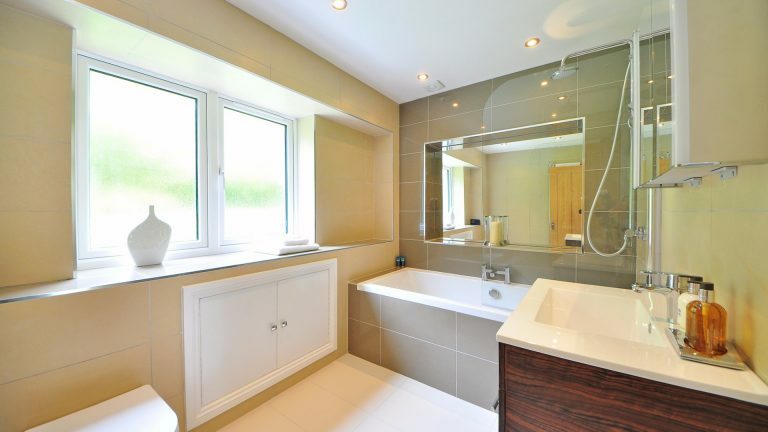 Designing your bathroom yourself only makes you exert energy. This is because you do not have the appropriate machines and equipment used in bathroom designing. And as such, you might want to do it manually, and this would only make you destroy some materials, give your bathroom a rough or even ugly finish, exert more energy and yet achieve very little. However, a professional has all the necessary machines for designing your bathroom and give it a perfect finish. While you save energy and await an already designed bathroom. A professional is very skillful. This skill has been acquired and nurtured with years of experience. This skill differentiates the work of a professional from that of a nonprofessional. Hiring a professional would surely give your bathroom the perfect finishing you desire. Whereas, if hire the services a non-professional or you decide to do your design yourself, there is a high possibility that you would have a rough or even ugly finish and this you do not want. A professional has your best interest at heart, and as a result, he will provide you with necessary guidance needed to analyze all your options while making decisions as to what designs and materials to use so as to soothe your requests and what not. He also gives advice and what designs will make or mar your bathroom or what will be most fitting or suitable for your bathroom. He also gives advice as to what bathroom fixtures will last longer but stand the test of time, and all these would work only in your interests.